Provide us with the make and model of your cooling tower and let one of our product application experts fit your cooling tower with the right materials and sizing. Optimize your cooling process of your towers by increasing the surface area between the water flows and the air by using Cooling Tower Fill Media. It is possible that your fill may need to be replaced due to getting brittle, clogged, or losing its film surface during upgrades where the current fill may no longer be the right type. 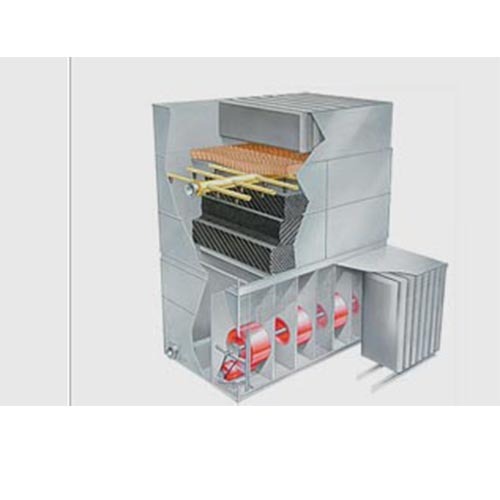 Universal Cooling Tower Products offers a wide variety of fills including Drift eliminators, Low Fouling Vertical Fill, Counter (or) Cross Flow Media, Fill Packs with integral Louvers, Fill Packs for a wetted surface only.